Welcome to Student Life & Leadership! It is important to make the most of your experiences at San Diego State University by getting involved. You can balance your time for learning, leading, and living by participating in activities with other students who share your same interests. Build your skills, create friendships and become a part of the exciting things happening on our campus! Come visit us in Student Life & Leadership where opportunities for involvement are waiting for you. Student Life & Leadership promotes student engagement, development, and success. We provide a balanced University experience for our diverse community through teaching, advising, and programming. Make sure to download and use the CL@S App and the new Presence Portal to see our Recognized Student Organizations and departmental events happening throughout campus! Are you interested in working at Student Life & Leadership? 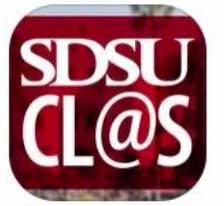 Contact Student Life & Leadership at sll@mail.sdsu.edu.